Planning a wedding is an exciting endeavor but can be stressful due to a list of wedding mistakes to avoid. Often, couples spend many hours making preparations, rethinking their decisions, and doing lots of consultations. They have to juggle between their own interests and the expectations of family and friends. Even with all the preparations that go into it, some couples fail to pull off a successful wedding. So, where do couples go wrong? Be realistic and flexible about the kind of dress you will wear on your wedding day. Keep an open mind and consider getting a dress personalized instead of moving from shop to shop looking for your ”dream dress”. When you have a fixed mindset, you will spend several days just looking for the perfect dress and end up not finding it. Seriously, you cannot be a “jack of all trades” when it comes to planning and preparing for your wedding. You need to hire a wedding planner to help you develop a realistic budget and to handle wedding arrangements. If you decide to go the DIY route, you can blow your budget and fall short of expectations. Financial discipline is key to the success of a wedding. More often than not, weddings fail because couples fail to stick to their budget. You’ve got to prioritize your needs and allocate money to the most fundamental things. Don’t stretch your budget. It could mean the difference between making guests happy and leaving them disgruntled. No matter how beautiful a venue is, it will not do you any good if it doesn’t offer you and your guests the convenience you need. Look for a spacious venue that will cater to all guests and activities on the wedding day. Don’t decide on a venue that will force you to adjust arrangements or manipulate space. Think about a seating layout that will maximize views and participation. Think about older guests who have limited movement and visibility. Ideally, your seating arrangement should let guests see what’s happening without craning their necks. As much as the wedding revolves around you, you should always keep the needs of your guests at the top of your mind. Guests have expectations and genuine needs which need to be catered to during your big day. Make sure that you have enough seats, bathrooms, a variety of cuisine and ample parking. Your childhood friend may be able to pull off a few tricks, but that doesn’t mean he can work the crowd and get your guests up off their feet like a Pittsburgh wedding DJ can. Chances are your friend will struggle to play the kind of music that resonates with the guests. Don’t gamble, hire a professional Pittsburgh DJ who has experience. Sometimes, couples want to pull off celebrity style weddings without factoring the cost and the logistics required. Have realistic expectations and personalize your wedding. In fact, a personalized wedding with the perfect touch can leave a greater impression than a reality-show kind of wedding. Your wedding day should be one you and your guests remember for years to come, not one you hope to soon forget. Make sure your big day has everything it takes to be memorable and leave your guests raving with the wedding DJ services from Steel City DJ. Our team of professionally trained entertainers know just what it takes to get the party started, and can keep it going all night long. 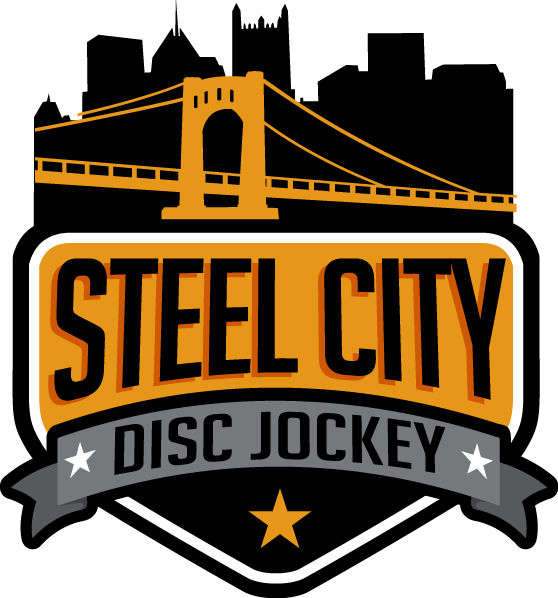 Do not have your special day be anything less than magnificent and contact the team at Steel City DJ today.